Time to pick up some fun! Have your child's birthday party scheduled and not sure what to do with all those kids? Picture kids having a great time being creative, learning, and having fun with nature. Plus the terrarium is a great take away from the party, cute little tote bags are included, so no need to do extra party favor bags. Having a ladies night with your girlfriends and want a craft to do together? You will all have a great time relaxing (maybe drinking a little wine) while making your own little paradise. Having family over and not sure what to do with them? Building terrariums is an activity that works for almost any human ages 3-103. A terrarium is a person's own special world so everyone can create something that speaks to them. Is your business or organization wanting to bring some nature into the workplace or do some team building? Nothing like getting dirty together to bring people closer! Pick your size, shape and amount: small (1 plant), medium (2 plants) and large (3 plants). If there are any customizations that you would like feel free to contact Kathleen to talk about what we can make happen. $20 includes: 6 1/2 inch upright jar, one plant, base sands, dirt, decorations and tote bag. $20 includes: 6 inch round jar, one plant, base sands, dirt, decorations and tote bag. $30 includes: 7 1/2 inch round jar, two plants, base sands, dirt, decorations and tote bag. 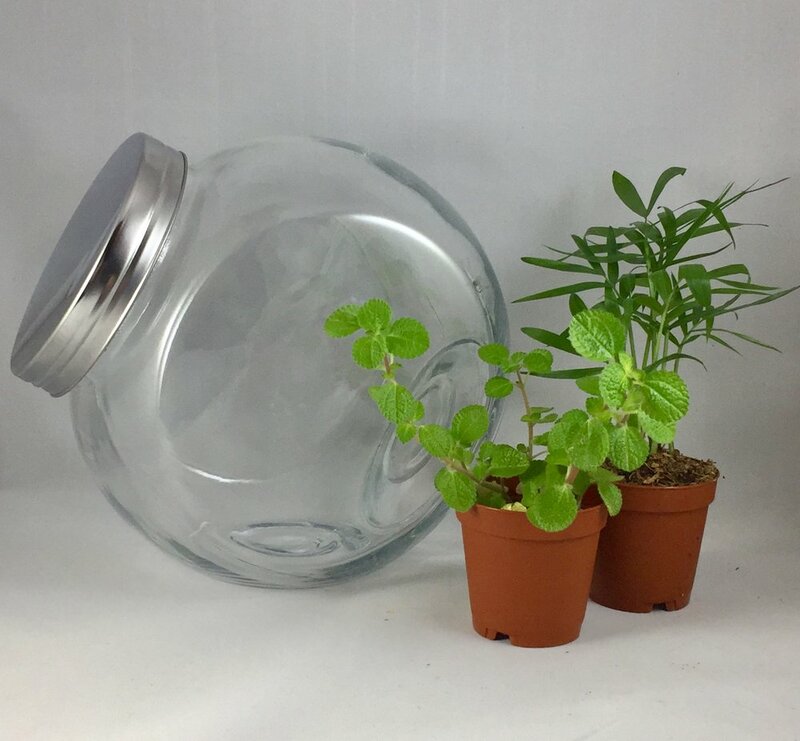 $35 includes: 8 inch clear-top jar, two plants, base sands, dirt, decorations and tote bag. $40 includes: 10 inch cork top terrarium, three plants, base sands, dirt, decorations and tote bag. $45 includes: 10 inch clear-top jar, three plants, base sands, dirt, decorations and tote bag. Located in the beautiful village of Fairport, Jardin Terrariums is an exclusive experience where customers are able to create their very own jar garden. If you want any explanations of the services or questions about your terrariums please let her know.